After Placement Recovery after an inferior vena cava (IVC) filter placement can take several hours at the hospital. Rest Patients should rest for 24 hours after they get home and avoid alcohol. Signs IVC filter recipients should watch for signs of complications, including bleeding, fever and chills. 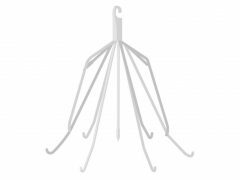 Patients should allow for one to two days of recovery following the placement of an IVC filter. Continued monitoring and additional treatment may be needed in some cases to prevent complications. Patients should closely follow instructions from their doctors after they are implanted with inferior vena cava (IVC) filters to avoid possible complications. The filters are designed to prevent blood clots, deep vein thrombosis (DVT) and pulmonary embolism (PE). They are implanted into the body’s largest vein — the inferior vena cava — using a catheter through a tiny hole. It is a non-surgical incision that does not require stitches. But, as with any procedure where the skin is penetrated, there is a risk of complications, including infection. The risk is small following IVC filter placement, according to UW Medicine, Seattle. Still, it is important to allow for proper healing and recovery after the procedure to minimize any potential problems. Patients should also continue to follow up with their doctors after the placement of an IVC filter to make sure that the filter is doing what it is supposed to be doing and that there have not been changes that could result in additional complications. Recovery following an inferior vena cava (IVC) filter placement can take several hours at the hospital. However, patients are typically able to go home the same day of the procedure, although a family member or friend will need to drive. After the procedure, patients should expect to be sleepy and confused when they wake up from the anesthesia. Health care providers will continue to watch a patient’s vital signs in the recovery room. Devices will be used to monitor the patient’s heart rate and blood pressure. Patients will remain in the recovery room until the sedation wears off and it is determined that they are ready to go home, usually after they can walk and use the restroom on their own. A bruise may appear where the catheter was inserted into the skin. Some pain will be experienced after the procedure. A bruise may appear where the catheter was inserted into the skin. Most over-the-counter pain medicines, such as acetaminophen (Tylenol) or ibuprofen (Advil or Motrin), can help with the pain, if needed. After the placement of an IVC filter, patients should expect to rest for the next 24 hours at home. Strenuous exercise and alcohol should be avoided during the same length of time. After 24 hours has passed, most patients can resume normal activities, including showering. Additional instructions may be given by a physician on a case-by-case basis. If a follow-up visit is scheduled, patients can use that appointment to discuss any complications or side effects experienced after the procedure. In some instances, a patient may need to contact their doctor right away about certain changes that can signal a serious problem. After placement of an IVC filter, patients should follow all of the instructions given to them by their doctor. These instructions may include advice about medications, exercise and wound care. Blood thinners may be prescribed to help prevent blood clots from forming. 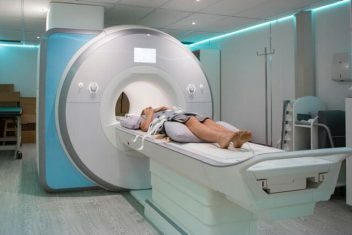 Patients will need to be monitored after treatment. Follow-up imaging tests may be recommended to ensure the IVC filter remains in the correct location within the vein. Some patients may require an additional procedure in the future to have the IVC filter removed, if it is the removable type of device. This procedure can be removed once a patient’s risk of deep vein thrombosis (DVT) has decreased or subsided. If scar tissue has formed around the IVC filter, however, it will need to be left in place. Some patients may be more prone to scarring than others. Risk factors for scarring after surgery can include a person’s age, race, genetics (a person’s inherited tendency to scar), size and depth of the incision or damage to the skin and body tissue, and the rate at which an individual’s skin tends to heal. Proper wound care can often help to minimize or prevent scarring.